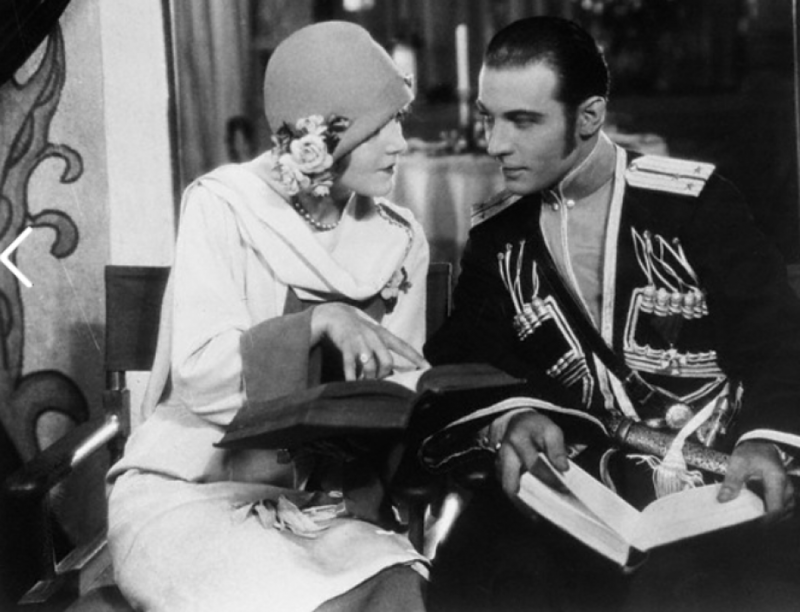 Natacha Rambova, the beautiful second wife of the late Rudolph Valentino, has been secretly married to Don Alcaro Urvarz, a Spanish nobleman. The wedding took place at Palma, Majorca, The couple have bought a villa at Palma, overlooking the sea, where they intend to live. Mrs. Valentino is stated to have made a fortune in property speculation in Majorca. According to their friends, the couple were secretly married by the civil authorities in Paris some time previously. In deference to the wishes of the bridegroom’s family, a Roman Catholic religious marriage ceremony followed at the’ Church of San Francisco, in Palma. The bride is not a Roman Catholic. She agreed to the religious marriage to please Don Alcaro’s family, which ls one of the oldest Catholic Basque families In Spain. Only a few friends were present. Natacha Rambova is the adopted daughter of Mr. Richard Hudnut, the millionaire perfumer. She went through two ceremonies of marriage with Valentino. Valentino’s first wife was Jean Acker, There was a divorce In 1922. Before the time required by Californian law for divorced persons to re-marry had elapsed Valentino and Miss Rambova were married. They said that they were “so madly in love with each other that they would not wait.’ As the divorce had not by that time become operative the couple remarried in March 1923. 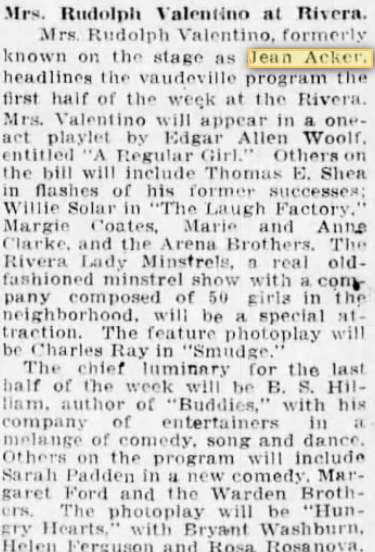 Since the death of Valentino Miss Rambova’ had claimed that she has received spirit messages from him through a medium. “The messages I have received from Ruddy,” she once said, “are wonderful. He has given the most Interesting details of his life over there. He tells me that he is extremely happy.” Miss Rambova also claimed that Valentino had explained his will in which he left her one dollar and about £100,000 to her aunt, his brother, am his sister. “I quite understand,” she said. Natacha Rambova obtained : decree of divorce in Paris against Valentino. 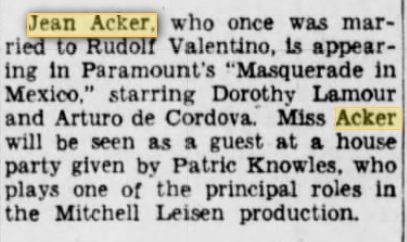 A minor Hollywood sensation has been caused by the suit which Alberto Guglielmi and Maria Strada brother and sister of the late Rudolph Valentino have filed against George Ullman. They charge Ullman with mismanagement of the estate and diverting large sums of money for his own use. Ullman, in the answer he has filed to the charges, says that, far from mismanaging the estate, he found it in a debt-ridden condition and spent years ironing it out. It was Valentino who wrecked his own estate, Ullman claims, for he died leaving debits of over $60,000 into a surplus of $100,000 to be distributed among the heirs. A court hearing will take place at the end of this month, and a decision reached as is whether Ullman shall be permitted to continue as manager and executor of the estate. 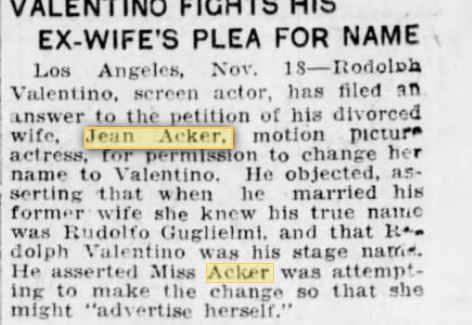 Vaudeville Star and ex-wife of Rudolph Valentino Jean Acker has signified her intention of marrying again, this time to a Spanish Marquis whose family tree was planted about the time of the Battle of Tours. The marquis answers to the name of Luis de Bazany Sandoval and one of his ancestors was a celebrated painter. 5 Oct 1922 Patron of Arts Valentino Purchases Works at Exhibit. The Valentinos have arrived in the social world of New York. At least, that part of the social world which is linked with the artistic. Mrs. Valentino, it appears, has established–or at least reiterated– herself as an artist by promising to send some of her works to the Italian-American Art Association Exhibit at the Civic Club, according to wire advices from the East. Mr. Valentino and his wife visited the exhibition of Italian artists yesterday. Upon being presented Mrs. Valentino declared she desired to become a member of the Italian-American Art Association. 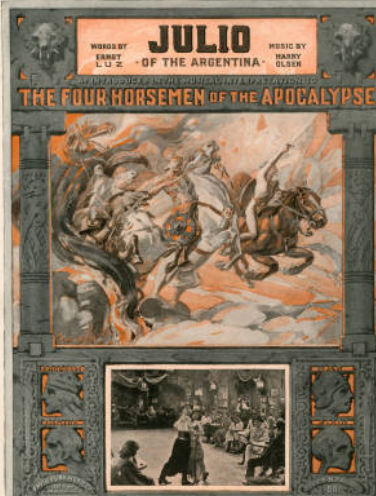 Rodolph became a patron of the arts simultaneously. For after he viewed the exhibit he purchased five works.